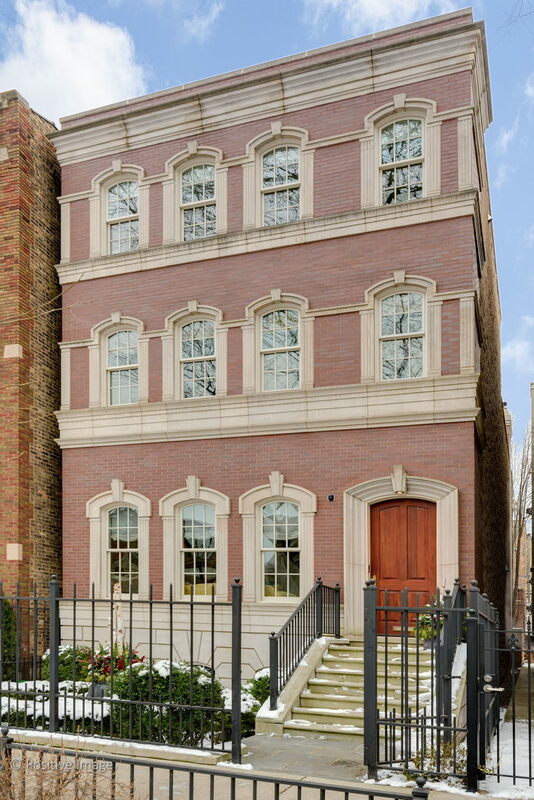 Stately home on one of the best Lincoln Park blocks, steps to Oz Park! Beautifully maintained home in an A+ location. Extra-wide layout & high ceilings thruout. The large living rm is anchored by a gorgeous fp w/an antiqued wood mantle. The separate dining rm has leaded glass French doors that lead into the kit & butler&apos;s pantry. The gourmet chef&apos;s kit has all high end appls, light granite countertops, & beautiful white cabs. The island offers breakfast bar seating plus addtl eat-in spc. The kit-great rm has another fp & leads directly out to a spacious blue stone patio. The 2nd lvl offers 3 br&apos;s, including the large mstr ste w/WIC, built-in dresser, & a luxe bath w/dual sinks & sep tub /shwr. The top floor is sensational with a den/rec space w/wet bar & offers direct access to the huge rooftop terrace. An addtl br suite is located on the top flr. The LL has a fam/media rm, ofc/exercise rm, & guest suite. A ldry rm w/fab stg completes this lvl. Oscar Mayer School!